Over the last month or so we have been inundated with requests for more information on the new Callaway RAZR Hawk Driver. Well in true THP style; ask and you shall receive. 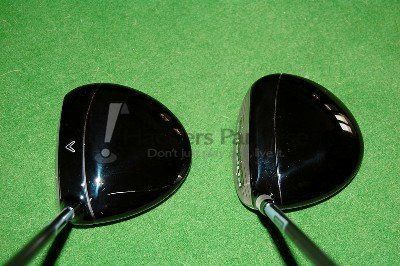 We have the regular and tour version of this driver here at THP HQ and will be putting it to the test both on the range and out on the course. Stay tuned for a full review later. For now you can enjoy the pictures! You can find close to 100 pictures of the new equipment in the THP forum with comments from all of the THP Members. THP in hand pictures and early feedback <—click here for more pictures! Stay tuned to all the latest the news on these clubs and more feedback as the testing gets underway at the links above. Can’t wait to read the reviews. Any idea why they sent two different lofts and two different shaft flexes ? I hear the hybrids in these are really good….look forward to hearing more from the testers on those.